I am pleased to share that Rachel Reuben Consulting, LLC is now a New York State Certified Women-Owned Business Enterprise. For state agencies and other organizations needing to meet a business requirement to have a certain percentage of work being contracted to someone with this certification, particularly in the areas of marketing and communications, I’m your gal! 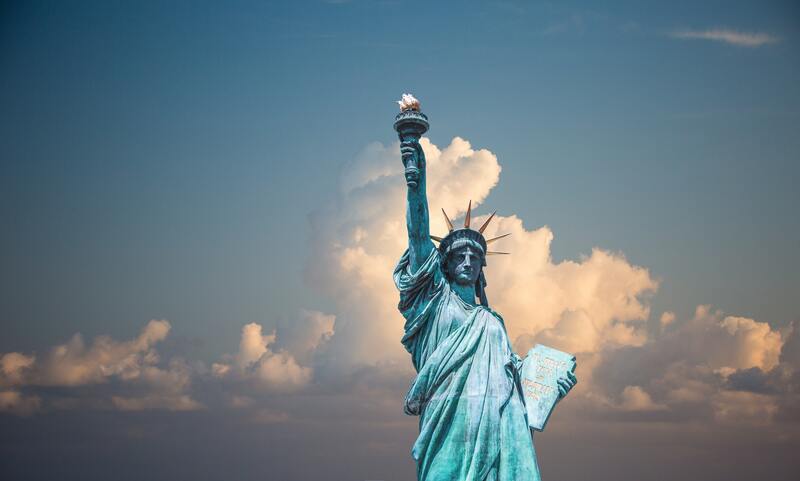 I can and have worked with larger marketing firms who need to exert good efforts to sub-contract part of their larger contract to achieve a participation goal of a certain percentage for Women-Owned Business Enterprises in New York state. In the higher education vertical, I excel in marketing staff assessments and audits, presentation of strategy and recommendations to key stakeholders on campuses, assessment, and review of current brand assets, developing a detailed college-wide brand rollout plan, and delivering on-campus training and workshops to marketing teams and college-wide stakeholders. I also have extensive work experience with nonprofits, entrepreneurs, and faith-based organizations. Check out some of my work under my Marketing Tech Therapy umbrella. Please contact me for more information and to talk about your next project. 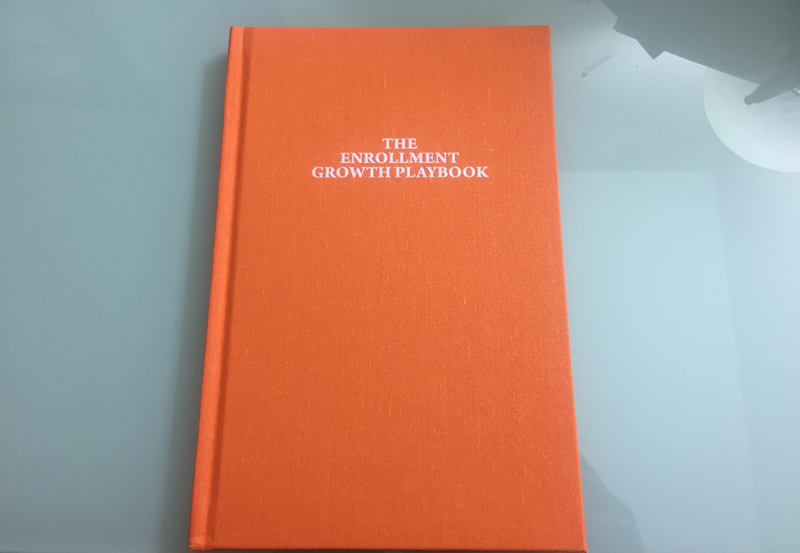 I recently had the opportunity to review the new book, The Enrollment Growth Playbook: How to Launch, Market, & Grow Successful Online & On-Campus Programs, by Helix Education. This book is chock-full of actionable insights that can help any institution make significant strides to increase their enrollment. Gone is the day of being all things to all people. Most colleges and universities have realized they need to have a niche to be successful in today’s crowded higher education marketplace. This book talks through defining goals, the importance of market research to determine potential growth opportunity areas, how to leverage technology and data to impact strategic decision-making, developing sound marketing strategies, and more. As I’ve been saying for years, it is critical to think about and set goals before jumping to tools and tactics. So many tools make it so easy to just jump right in and try a bunch of things out, but without strong goals and a sound strategy, it’s a lot like throwing spaghetti on the cabinets to see what sticks. Helix talks about the importance of Institution-wide change starting with strong leadership at the top. Basing decisions on market research and available data to then inform an effective marketing strategy comes down to delivering the “right message to the right student on the right channel at the right time, for the right price.” Easy peasy, right? Not without a strong measurement program and effectively establishing one voice through an integrated marketing program. The book has helpful worksheets, such as the Marketing Channel Contribution – a way to determine your optimal marketing mix by mapping out your current marketing channels, inquiry volume, cost-per-inquiry, enroll rate and cost-per enroll. If you haven’t already guessed, a strong measurement program to be able to track this and more is also key to the success of any growth strategy. They go on further to talk about testing the strength of your enrollment funnel to see which touchpoints really are most effective and to further streamline the enrollment operation. Throughout the book they highlight key tidbits with little notes in orange, as though I took my own highlighter to make my own notes. The book is super readable in far under an hour and is a must-have for everyone in the enrollment management field in higher education. I highly recommend reaching out to Helix and getting your copy today. Facebook memories reminded me the other day that it has been one year since I officially began my consulting business. What a ride it has been! I am thrilled to have this opportunity to work with colleges, universities, solopreneurs, small businesses, non-profit and faith-based organizations. I’ve had the great pleasure of working with 15 clients in this first year on a wide variety of projects, and have some very exciting opportunities on the horizon for the remainder of this year. I’d like to thank all of my clients, my network of colleagues, friends and family for supporting me through this venture. Here’s to many more years ahead! This article was originally published on InsideHigherEd’s Call to Action Blog on February 9, 2016. Last month there was a great deal of hype about Peach, a new social network that seemingly came out of nowhere. It is a bit like Facebook (lite), Twitter and Tumblr combined. You can post a short update and photos; search for an animated GIF to share your emotion; answer pre-defined questions or trigger Magic Words; wave, “boop” or “cake” friends; and see your friends activities. (Here’s a Complete Beginner’s Guide.) It’s currently only available as an app for iOS, but they say they’re working on Android and other features too. Brands such as Merriam-Webster (@MerriamWebster on Peach), who interestingly didn’t jump on the Instagram bandwagon, have established a presence and are starting to experiment. They share tomorrow’s word-of-the-day today in a doodle and sometimes with perfect animated GIFs to bring the meaning alive. According to this article, their new strategy focuses on exposing people “to the love of language” rather than just share definitions. So, should you jump into using Peach and will it be the next Twitter, Instagram or Facebook? Or, will it go the way of Meerkat, Google Wave and Buzz which were hot out of the gate and fizzled fast to non-existence? With typically stretched human resources and bandwidth in higher education, how do we evaluate whether we should jump on the latest social bandwagon? Here are some strategies to consider. DO land grab. Grab your institution’s username. It doesn’t mean you need to use it — it holds a place for you if you’re going to play the Wait and See approach. DO research audience use. Read news articles (avoid tech-writer and paid blogger hype) and seek research data on use of the new media by target audiences from sources such as Pew Research Center and eMarketer. Poll or survey your specific audiences too. A great moment for this is during the college visit. DO think outside the box. How can the latest tool be used for your brand platform? DO think carefully about your brand voice, tone and association. Are they a strong fit for this new media? DO use it personally first. Have your own playground to experiment before you bring your institution’s name into the mix. DON’T delegate to student workers. Sure, staffing and bandwidth is tight, and students can be super helpful to help you stay on the pulse of what’s new, but marketing staff should be driving decisions, content and strategy. DON’T feel you have to use every new social tool soon after it launches. Waiting can be an acceptable strategy. Universities being first on new social sites aren’t given any kind of special award. Make sure you’re mastering your existing media presence first. Emily Truax, Boston University’s social media manager, shares in this case study how their university started experimenting with Snapchat in early 2015. Knowing their audience and understanding the platform’s unique capabilities, they bucketed their snaps into news, events and celebrations. Although there was a fun factor, Truax says one of their primary goals is finding new and engaging ways to repurpose existing content their office has produced and the ways in which the stories they shared on Snapchat contributed toward that goal. How are you using newer social media in strategic ways? Do you struggle with deciding which media your university should use? 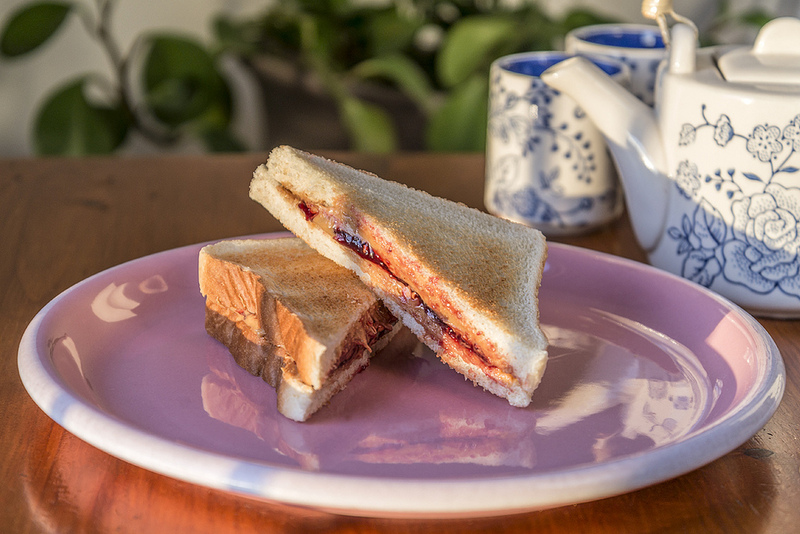 Career Services and Marketing – the new peanut butter and jelly? I recently conducted a market research project for a company who is looking to extend their existing product to provide better solutions for career services offices and help universities tell better stories to key audiences. Their product is currently in use by more than 300 colleges and universities nationwide, primarily in the marketing/communications area. 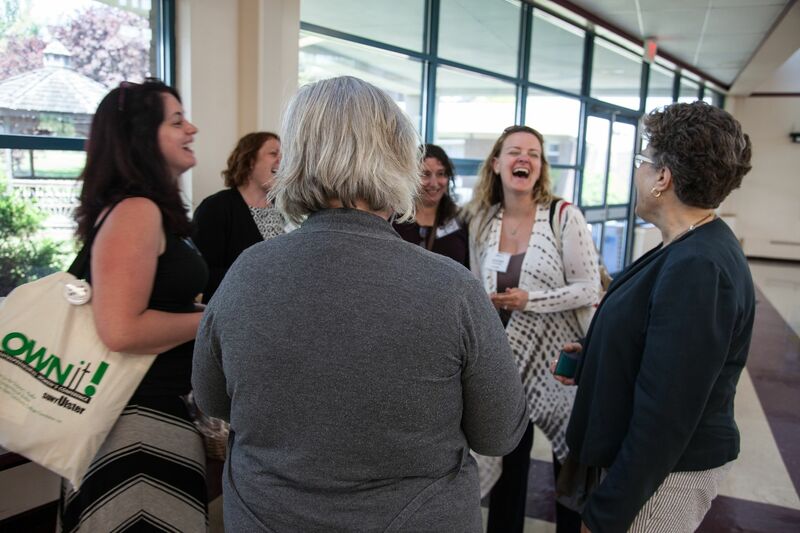 As someone who has worked in marketing in higher education for nearly two decades, it was fascinating to talk to thought leaders in career services and learn just how similar many of our challenges are. I also realized what great opportunities are ahead for stronger partnerships between these two groups. Marketing staff are storytellers. They seek out stories to help raise or change the perception of their school with prospective students and their parents, to raise money and reinforce associations for alumni. They need to showcase what their students do while enrolled, and more than ever, share outcomes to prove the value of a degree from their university. Marketing staff are storytellers. They seek out stories to help raise or change the perception of their school with prospective students and their parents, to raise money and reinforce associations for alumni. They need to showcase what their students do while enrolled, and more than ever, share outcomes to prove the value of a degree from their university. Career services offices are also seeking out stories to share to help build strong internship and employer relations programs, and they too want to showcase first destination and post-graduation outcomes. Stories walk into their door every single day. Imagine the collaborations if these two historically siloed departments worked closely together to craft strong stories that would benefit both of their offices and the college/university overall? And, imagine if they even shared data? Break down the divisional silos, befriend each other (and your CIO), draft a vision that doesn’t get hung up in multi-year committee chaos, and make it happen. Add Alumni Relations to the mix and you’ll be the superheroes of your university. This post originally appeared on SimpsonScarborough’s website. It’s a new year. Time for a fresh start with New Year’s resolutions, goals, promises, or pacts. 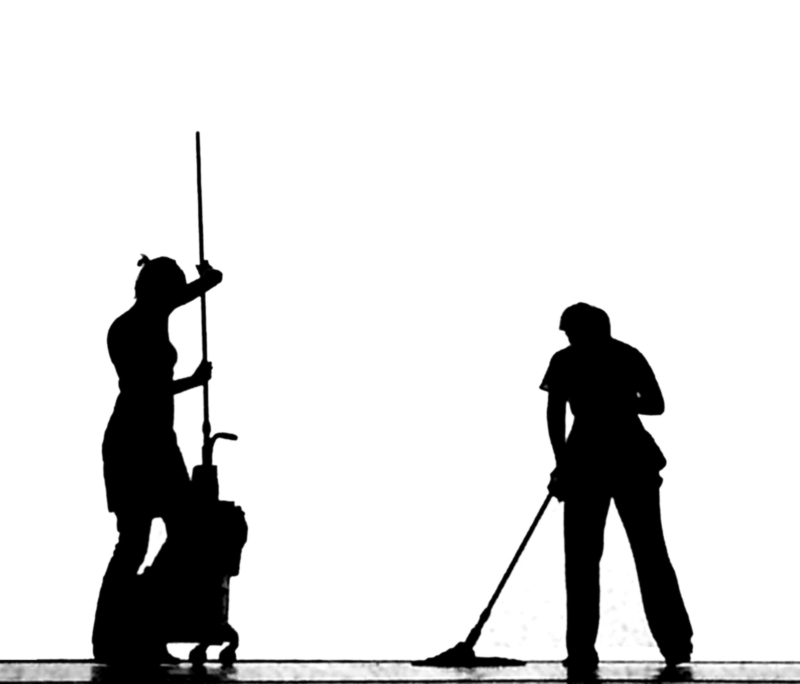 Some wait and enjoy a spring cleaning ritual. I like to tidy up my digital life on a regular basis. Simplify and standardize is my mantra. Our lives have become a cluttered digital mess. We have work and personal email accounts; work, personal and family calendars; to-do lists; project management systems; CRMs. We have files on our desktop, in our Downloads folder, My Documents (Windows) or Documents (Mac) folders, in Google Drive, in One Drive, and/or in Dropbox. We have photos on our phone, on our DSLR, on our computer, on our family Shutterfly site. We use Pocket to store articles we want to read later, or maybe just the old fashioned Bookmarks feature in your web browser. We use Delicious to bookmark articles we’ve read and want to add to our digital bookshelf. Maybe you got a fancy new gizmo for Christmas or Hanukkah that lets you talk to it to remember things. There are so many great tools out there to make our lives easier. Here are my top three tips for organizing your digital life. Make your to-do list work for you. I am a huge fan and long-time user of Remember the Milk. 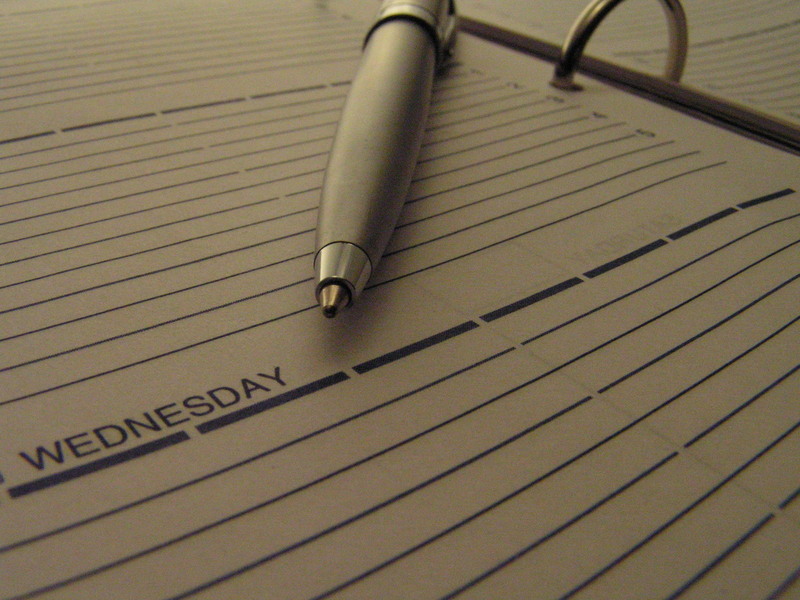 It has the ability to keep separate lists, you can add tags, prioritize, have sub-tasks, due dates and much more. I have about a dozen different lists, as I like the ability to be able to see not only what is due today, but also see all the topical lists. For example, when I recently moved, I had a “change address” list. I kept populating it in the month prior with all of the companies, bills, etc. I’d have to notify with my new address. When I wanted focused time just to work on that project, and because most of them didn’t have specific deadlines/due dates, I would just view the list and plug through it one-by-one. Other lists I use regularly include: consulting, personal, blog, medical, shopping. Keep your computer’s desktop clean. I’ll admit, I get hives when I see people’s computers with 832 files on the desktop. To others, it doesn’t bother them a bit. I like to use the desktop as a temporary holding place. These are files that I must take action on. Pick one file system and stick with it, whether it’s a cloud-based storage option such as Google Drive or Dropbox, or your local hard drive (only if you backup regularly). This was such a life-changing thing for me. Every day I look ahead to the next day to see what meetings and appointments I have scheduled. I then work around them to schedule other stuff in — reading time, workout, cooking, etc. I’ll schedule multi-hour work blocks for specific projects. I treat that time block like an actual meeting — no interruptions, no distractions. One of my favorite things to do when I worked at Ithaca College was to schedule No Meeting Mondays. That’s right – we didn’t have meetings on Mondays in my department. It’s a great way to ease into the work week, to focus on key projects, to have impromptu brainstorming sessions with colleagues who are also not trapped in meetings. Your time is sacred. Book it. There is no right or wrong way to do any of this. Everyone’s personality and preferences are different. I work with small business owners, vice presidents and more to help them develop systems that works for them. Contact me to learn more. What are your favorite digital organization hacks and tools? I was just reading an article on Inc.com called “12 Things You Need to Really Get Rid of in the Next 12 Months.” #3 leapt off the page at me, but not entirely for the reasons the author likely intended. Stop thinking you’re on your own. When friends and family have asked me in recent months what I do now that I left my full-time job at a university, I typically respond by saying “I’m on my own now, consulting.” That couldn’t be the furthest thing from the truth. Yes, I am consulting. Sure, I am my own boss (when my clients are the boss of me). 🙂 I don’t have employees. I am single. I don’t have children. I live alone. However, I am anything but on my own. This fall I decided to start my own company and offer consulting services in marketing and communications to higher education and small businesses in large part because of the community and network I have been privileged to be part of for twenty years. This is a community like no other. I have friends at various institutions and companies around the country who have been so kind to reach out, take a call from me, and connect me to others in their network. Because of them (you, since you’re reading this! ), I have had a very successful and happy first several months as an official LLC. My many strong leads for the new year are from this incredible network. So, I’ll repeat it again — I am anything but on my own now. I couldn’t do this without you. Thank you for being part of this incredible community. Thank you to my close friends and family members who have stuck by me and supported me through this crazy journey of a year. Thank you all for being part of my early success as a consultant. Cheers to a happy, peaceful 2016, full of projects and opportunities that make us flourish. Tomorrow, Thursday, November 12 at 2 p.m. ET I will be joining Chris Foley Pilsner, the Chief Marketing Officer of Isenberg School of Management at UMASS Amherst, and Melissa Koehler, who heads up the higher education practice at Forge Worldwide based in Boston, for a live online session using a new technology called Blab. Tips for first timers at the AMA Higher Ed Symposium. What is Blab? According to Mashable, it’s like Periscope for groups of friends. It’s also somewhat like a Google Hangout, but has interactive Q&A features that are very neat. Here’s a screenshot from our test last week. My friends at Forge have been paying for some Twitter ads to promote this event. Subscribe on Blab and join us tomorrow! Active shooters. Campus on lockdown. Shelter-in-place. Racial tensions. Votes of no confidence. Bed bugs in residence halls. Inclement weather. Leadership transitions. Mascot changes. Hazing. Chemical spills. Student deaths. More than ever, there’s a higher volume of crises and issues to manage on campuses across the country. It’s very difficult to be proactive and you never know when the next issue will arise. This is why it’s critical to be prepared to effectively and efficiently manage the situation. Who can post a notice on your home page at 11 p.m. at night on a Saturday? Who has access to your social media accounts? What about your mass notification system? Where do you store your contact information for key individuals across the university? Where will your communications team meet on campus in the event of an emergency? Where should press gather, and where will you hold press conferences? When is it appropriate to post sensitive information to social media, and whose permission do you need first? 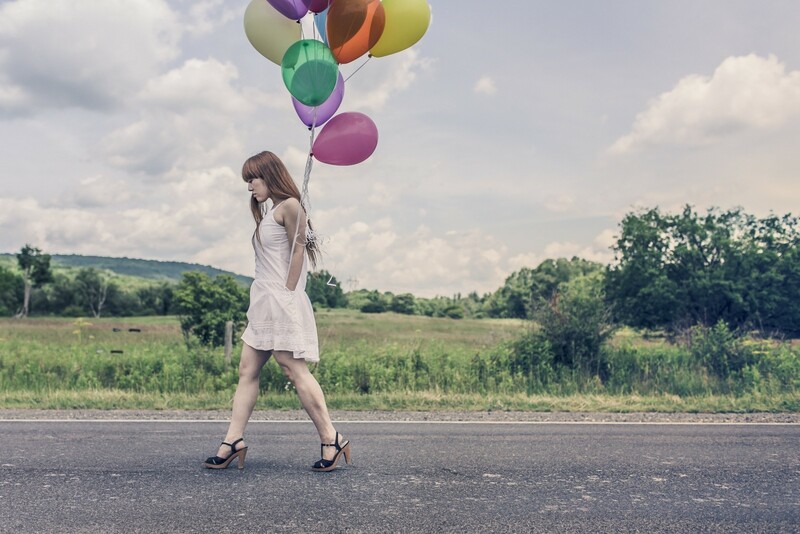 Your core communication team should ideally include two to four people. One person should serve as lead, and that individual should have a backup on this core team in case they are unable to be reached. This is the core team that will be called upon when a situation arises. 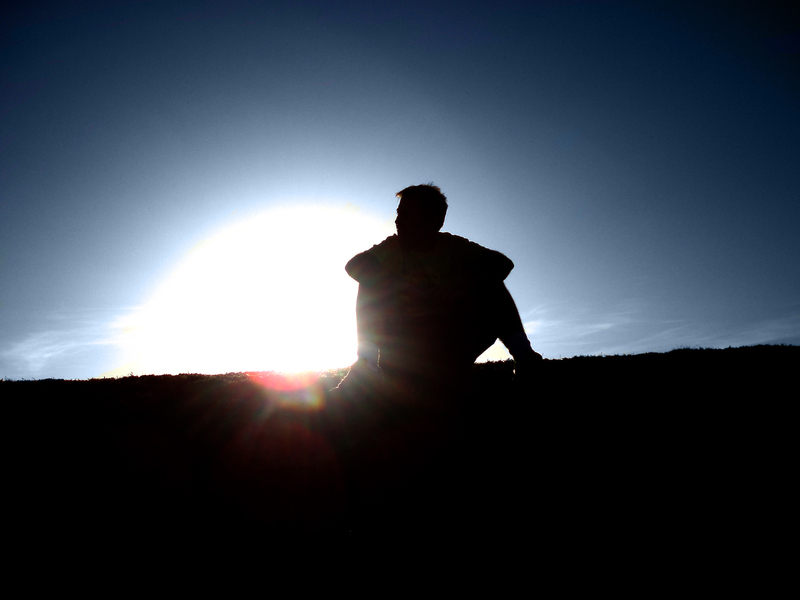 Smaller issues may only warrant one or two people, but larger issues require more support. An extended communication team should also be defined, which could pull in additional people as necessary. It is important to create partnerships with key individuals and offices across the university and meet with them regularly to share planning progress. These offices include public safety/university police, environmental health and safety, facilities management, information technology and legal affairs. This is probably one of the more challenging steps. There’s always something more important, or another deadline looming. Set aside a half hour or one-hour block of time at the same time every week on the calendar with the core communications team, and make it sacred. Unless there is a true issue being managed at the time, hold the meeting. Use that time to prepare and work on documentation. Once each month the core and extended communication teams should come together to practice (drill) a range of extensive topics to test all of their preparation and identify opportunities for improvement. Keep proactive planning front of mind for the senior leadership and emergency management teams. This will build confidence and trust in the communications team, which is critical to have when the inevitable crisis hits. It also helps build a case for any necessary resources to improve communications in the future. Each semester, send an email to all faculty, staff and students to review communication tactics in the event of an emergency. If you have an opt-in mass notification system, this is another opportunity to encourage everyone to register. Explain how the website, official social media channels, email and outdoor warning systems will be used, and key phrases they should understand. If a large-scale crisis happens, you will likely need additional resources, so it is critical to know what budgetary resources and options are available. In addition, find out if the college/university has insurance that provides coverage for institutions to respond to unusual circumstances requiring professional public relations counsel. I’ve worked for two institutions that had “ProResponse” coverage from United Educators. Ask your risk management and/or legal affairs office if you’re unsure if you have this or another comparable option available. Have a public relations firm on record to assist with reputational risks and prevent escalation of issues. Connect with this firm at least quarterly, and have them on campus for media training to ensure senior administration knows them and is comfortable with them. Separately, partner with local/regional colleges/universities for expertise that they have, additional communication assistance, and space for meetings if your campus is not accessible. If you have local hotels, conference centers or town halls, having a partnership documented with them will also provide additional off-site meeting locations and Internet/phone access if the campus is inaccessible.